A creative community is about more than just networking; it starts from your own private space, flexibly managed and fitting your needs exactly. So, we offer workspaces and suites from 127 to 16,000 ft ². 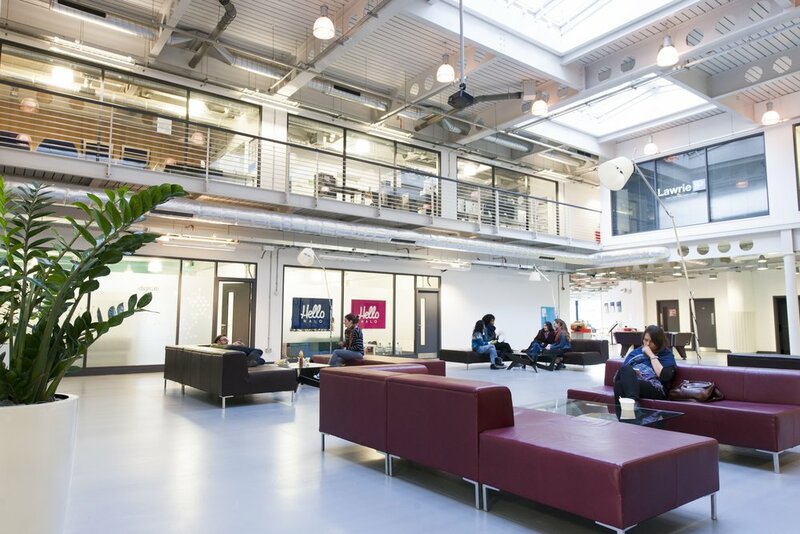 All the basics for modern business are covered – power, connectivity, high specification and functional space and the ability to occupy within a matter of days. Be as responsive as possible – without having to worry about long term, locked in commitments – we offer short and long term leases on a flexible basis and if you need more space on short notice, we'll be there for you. Feeling that you're in safe hands we have recruited a management team who really know how to take care of creative people, and we've put them on-site to look after you – along with 24 hour security to match the 24/7 access you'll have to The Hub. You can enjoy food and drink at our licensed on–site Café Bar, open every day from early until late – and, because it will be open to all the surrounding creative communities, it will always be buzzing. The Hub Square space next to the Café Bar gives you the perfect environment for meeting talking, thinking, or just dreaming.